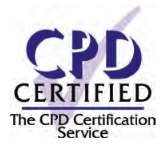 You will be able to receive up to 301 CPD points for completing this course. The BTRM is accredited by The Financial Risk Institute. The Financial Risk Institute (FinRisk) provides regulators and industry professionals with a forum to shape the future in financial risk management, by creating avenues to provide thought leadership on developing risk areas, discuss major risk policy matters, exchange ideas and share knowledge, and build resources to support future development. Our programme includes the FinRisk Young Professionals Journal, a quarterly publication building thought leadership in risk management. FinRisk is represented globally by three regional centers: in Washington DC for the Americas, London for the EMEA region, and Singapore for the Asia-Pacific region. Global Analytics Consulting is a strategy, financial and economic development consulting firm registered in Nigeria, and UAE, providing services since 2006 to private and public sector organizations alike. The company’s activities is concentrated in sub-Saharan Africa, where it has consulted and trained professionals from Nigeria, Uganda, Ghana and Kenya, among others. GAC is one of the pioneers in deepening the financial space in this region, with its initiatives in financial derivatives, fixed income markets, structured products and market regulation. Some of its core clients include central banks, capital market regulators and national governments. Commercial and Investment Banks within the region have also subscribed to a number of our training programs over the years. Recently, GAC began the process of acquiring a Ratings Agency licence, which will enable us to add more value to the financial and intellectual space. Over the years, financial professionals around the world have looked to Wiley and the Wiley Finance series with its wide array of best-selling books for the knowledge, insights, and techniques that are essential to success in financial markets. As the pace of change in financial markets and instruments quickens, Wiley continues to respond. With critically acclaimed books by leading thinkers on value investing, risk management, asset allocation, and many other critical subjects, the Wiley Finance series provides the financial community with information they want. Written to provide professionals and individuals with the most current thinking from the best minds in the industry, it is no wonder that the Wiley Finance series is the first and last stop for financial professionals looking to increase their financial expertise. the overall 100 Ranking for the second year in a row.